Excavation, ground levelling, foundation and other siteworks to make your lifestyle block or subdivision ready for construction. 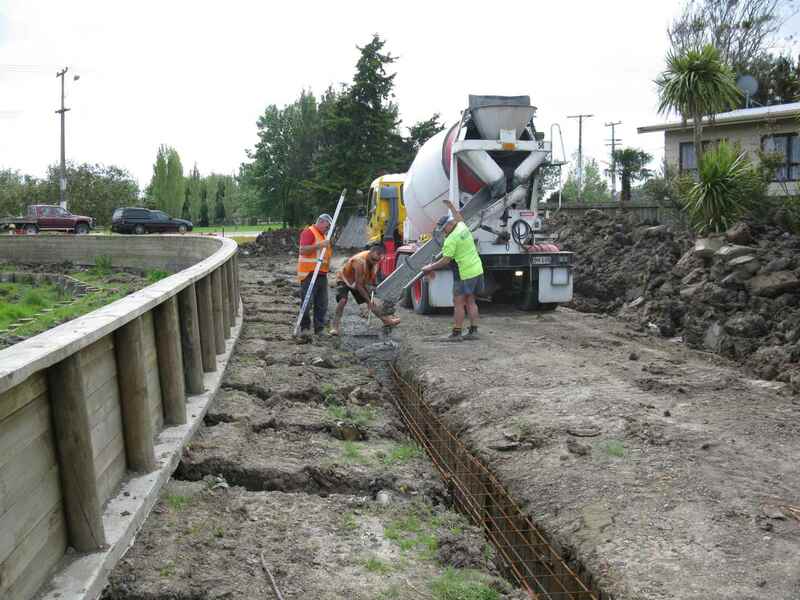 Highly experienced in building, maintenance and repairs of internal access roads, driveways, car parks and walking tracks across Auckland region. Whether you are constructing a new house or need help with the repair of existing drainage, our expert team can help in sewer laying, stormwater drainage, driveway channels, water distribution lines, fire protection lines and other drainage works. Trenching services for water, power, fibre or copper lines. Advanced trenching and directional drilling equipment that does the job with minimal disruption of driveways or surface. Our experts in timber, steel and concrete pile driving can build a solid foundation for your structure so that it safe and sturdy for decades to come. Successfully completed 360m of the 1.2 KM stop bank to improve the flood protection at Parakai. The work involved removing and mulching of mangroves and pampas, preparing the base and then building up to the stop bank approximately 70cm to a height of 3.5m with council approved clearfill. We were also the principle contractors for Stage 1- around 800m – of the project in 2010 and later in 2011, we carried out slip repair works which also included construction of a large timber retaining wall at the Parkhurst road at the end of the job. Swale Earthmovers in Auckland are Earthmoving Contractors that have been serving the industry for over 40 years. At Swale Earthmovers we specialise in Earthmoving, Digging, Excavating and Landscaping.